Musicians round these parts are generally busy individuals. Talk to any of them for long enough and you’ll find, apart from the main band you thought they were in, they are also in several other rockin’ teen combos, as well as pursuing what might be loosely called a “solo project”. 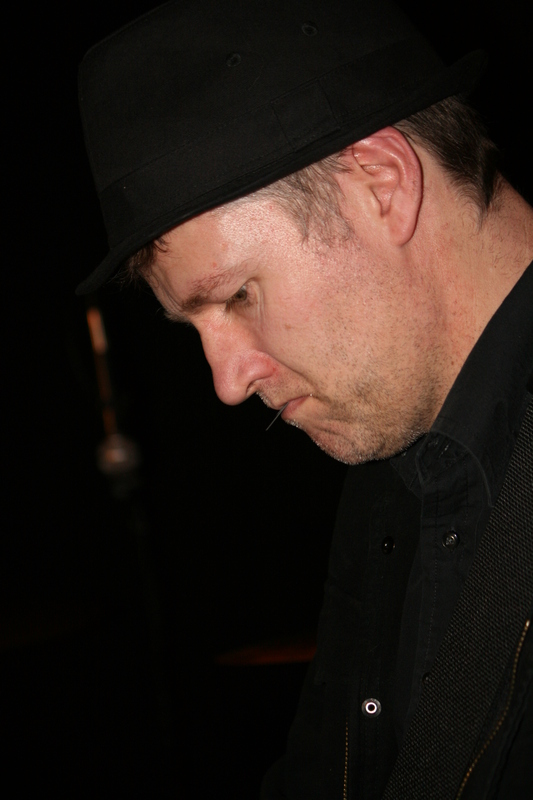 Mr John “Monty” Montague, of this parish, is one of such, a renaissance man, operating as he does, on the bass guitar, as part of Kit B, and Positronik (currently on hold due to lack of vocalist), as well as delivering an eclectic radio show every week on Salford City Radio (tuesdays at 9pm). Not content with this he has indeed spread his wings and developed an alter-ego called The Junta. We have been trailed several tracks from the first album from this particular incarnation of Monty’s musical output for several months now, and it is with some delight that the final product arrived here a couple of days back. 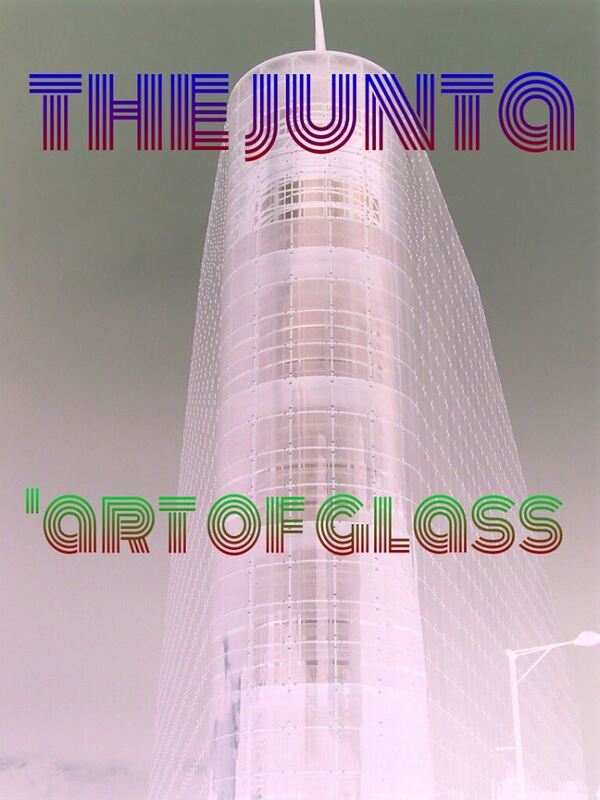 Released on 24th March the album, called “‘Art of Glass” features 14 nuggets of dance oriented electronica and ambient synthesis, which hark back to the heady days of “Microphonies” era Cabaret Voltaire, skirt around the synthetic end of Krautrock, reflect the baggy Roland rhythms of Madchester, and generally get you up of your couch to frug uncontrollably around your living room floor. There are many layers of synthesis, pounding bass riffs, four to the floor bass drum madness, and chittering arpeggiators flying around in a frenzy of abandonment. There are also sections of chilled ambience where washes of synth battle each other over an alien landscape in a nod towards Monty’s love for all things sci-fi. “Orca” in particular offers a riot of interweaving tones and sounds. In other instances Monty mines the synth-bands of the 80s, brings his trusty blue bass guitar out, and delivers chirpy glitchy power pop like “Plenty O’Toole”, which updates the sound in a fashionable fashion (see what I did there!). As a contrast the delightful “Parenthood” slows the pace to deliver a beautiful elegy, with OMD leanings, considered rhythms, and an overlapping melodic theme which is rather lovely indeed. There are points in the album where all of the aforementioned influences gel into a completely unique “Junta” sound and this is particularly clear on the busy and memorable “Shimma” which motors along at a fair old rate percussion wise but has stately layers of laminal pads washing around over the top – something rather special is occurring here which bodes well for further releases from The Junta. This is also apparent on the insistent “Half Moon Street” which has a dual hook of a rising bass motif, and a percussive bouncing synth sound taking the place of the snare in driving the tune – at times it feels like a a marriage of Bo Hannson’s seminal “Lord of the Rings”, early Tim Blake and Tangerine Dream all brought together into a new place. This track in particular proves that this is not just a pop album but also something which explores new territories. “Jarre” of course reflects some of Monty’s influence here and has a lovely minor key feel to it. All in all a rather exceptional debut from the talented Mr Montague. When we last spoke of this project he did indicate a desire to get it out as live experience at some point, let’s hope he can do this as I think it would be a rather memorable evening of music. As well as the album a three track EP featuring the Cosworth Mix of “Eat My Dust”, as well as it’s radio edit, and Dust Devil, will be available from 24th February which will give you a useful primer for what is to come on the album.